Facebook marketing is one of the most useful advertising strategies for any business. With 2.01 billion monthly users, Facebook offers a huge pool of potential clients all over the world. While strong content and word of mouth might have generated some traffic, building a high conversion rate without advertising tools may take too much of your time. 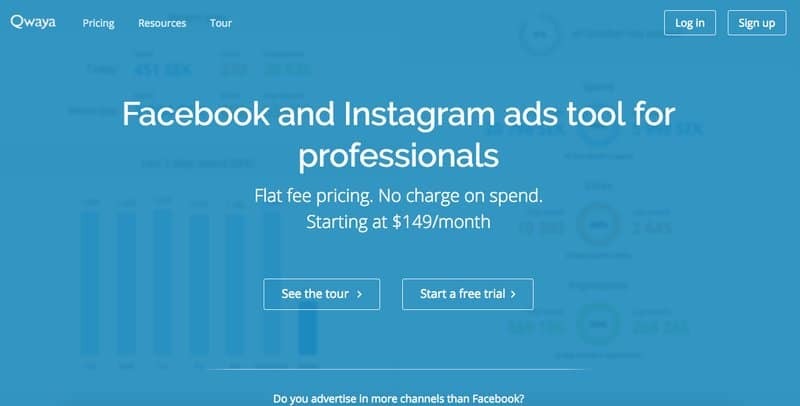 We came up with top 7 Facebook advertising tools that can save you time and money while improving your campaign. You must have heard about this one before. Even if you don’t use any other tools, the Ad Manager should become part of your heavy artillery when it comes to Facebook advertising. Ad manager allows you to create and edit your ads on Facebook. This powerful and versatile assistant can help you analyze your ad campaign and give you advice on perfecting it. With Facebook ad manager, you can adjust your data, graphs, and budget while controlling your campaign anytime and anywhere. 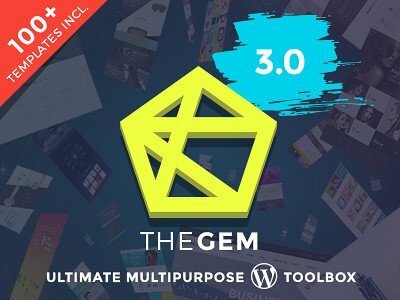 This tool is a great choice for small and mid-size businesses. It’s adapted for mobile use. Ad Manager is fairly easy to use by business owners and marketing specialists. Facebook Ad Manager is a free tool. Looking for the right target audience is the core of any Facebook advertising campaign. With over 2 billion users to sift through, this task may be overwhelming. Especially since people are not always accurate about mentioning information in their profiles. 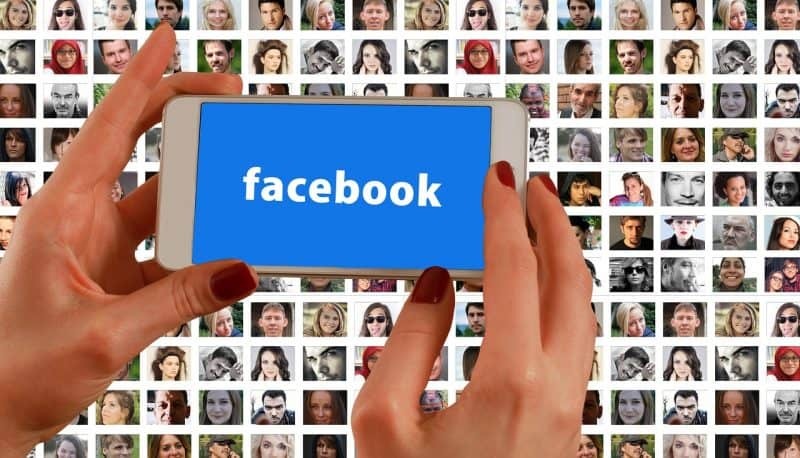 Facebook made it easier by collaborating with such companies as Acxiom, Datalogix, and Epsilon to find and group the audience into categories. The tool creates categories based on lifestyles, buying histories, demographic information, and more. By using Partner Categories, you can come up with Facebook ads that are the most relevant to your target audience. Partner Categories allow you to target people based on whether they are married, have children, own a car, visit restaurants, and much more. Perfect Audience is a retargeting tool that you can use together with other retargeting methods and approaches. Once the potential client comes to your landing page, the tool gives him or her a tracking cookie. All you have to do is go through a little copy pasting while following the program’s instructions, and voila! Your potential customer is retargeted without your engagement. Perfect Audience walks you through setting up targeting lists and conversion goals. Then it helps you create a retargeting ad. The tools is quick and easy to use. It can become a perfect assistant during your marketing campaign by bringing the lost or past customers back to your business. The program comes with a free trial. Some people believe that Hootsuite is only good for scheduling; meanwhile, it offers a variety of useful features for Facebook marketing. 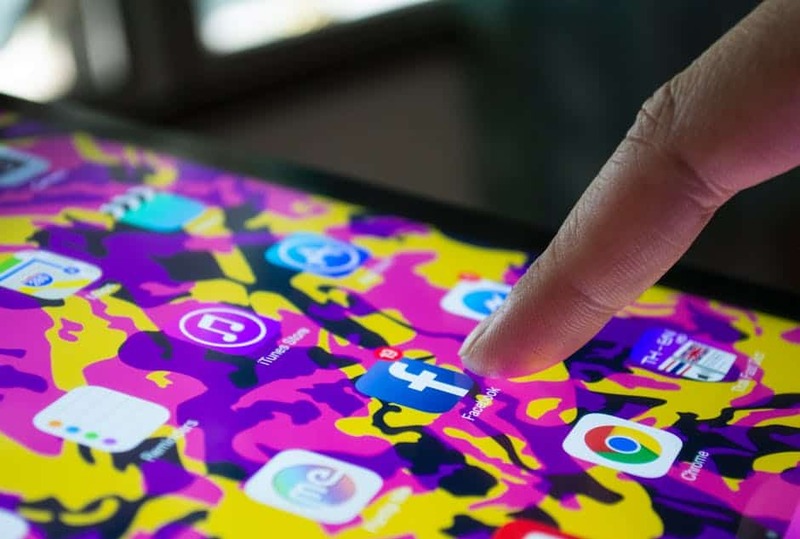 This program analyzes your Facebook page content and determines what part of it performs strongly enough to be useful in an advertising campaign. Then Hootsuite comes up with ads based on that content. Hootsuite allows you to create the right ads and send them out to the right people. The program has several advanced ad management features that can help simplify your campaign. This is a wonderful tool for advertising newbies. While not doing anything too complicated, Hootsuite can jump-start anyone’s advertising campaign by automating the simple process. The program has a free trial version. Qwaya is a Facebook marketing tool with an impressive variety of features, including ad scheduling, campaign organizer, conversion tracking, and ad autorotation. However, its main goal is automated split testing. This program allows you to find the perfect audience for your campaign and save you time and money on useless advertising. With Qwaya, you can split your target audience into several segments based on different criteria and check if your campaign is performing well. Another useful Qwaya feature is scheduling. The program checks the time when your target audience is online and schedules the ads accordingly. This saves you from running useless ads. Qwaya requires some learning to get the hang of it. However, it is so useful that deserves some of your time to conquer the high learning curve. 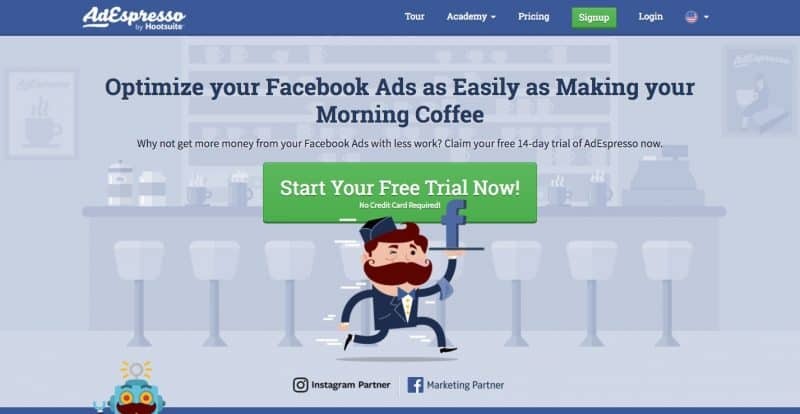 AdEspresso is one of the simplest and accessible Facebook marketing tools today. It allows you to analyze your advertising campaign without too much effort. If you are confused about the information AdEspresso is giving you, you can take advantage of the AdEspresso Academy, which is free of charge. AdEspresso is a great program for a small business. It helps you get a straightforward analysis of the current state of your advertising campaign. The program doesn’t just show you the “report card” for your campaign, it also gives you valuable recommendations on how to improve it. You can also check how well you are doing with your campaign compared to other businesses in the industry. 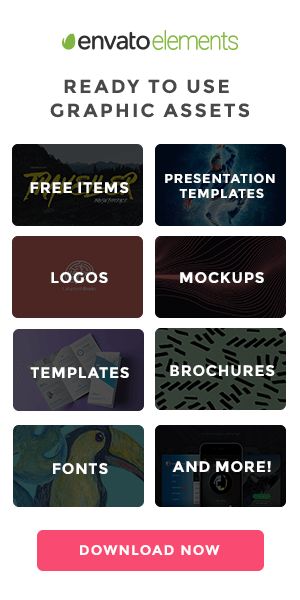 Pagemodo allows you to design ads for your campaign. 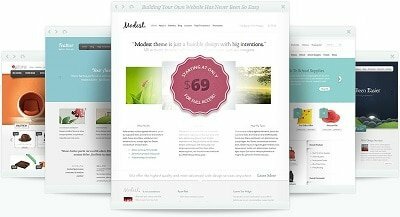 It has a good choice of ad templates and offers royalty free pictures for quick design. Pagemodo is also a wonderful tool for newbies since it offers simplified audience targeting and segmentation. The program also provides analytics and performance measurement features. It allows you to see how well your campaign is doing and take advantage of the advice on how to improve it. While it’s not one of the cheapest Facebook marketing tools, you can create a free account to test the features. In the contemporary world of immense competition, taking advantage of Facebook advertising tools is compulsory. The variety of programs to choose from allows you to find the perfect one for your needs at the lowest price. Facebook advertising without the extra tools is a slow endeavor, which may lack results. It’s up to you to simplify your campaign with these programs and free up some time for other business matters. Author’s Bio: Jinghong “Pika” Chiu is a resident instructor for SEO at Derek Gehl’s Ignited Academy on ProjectIgnite.com and lives in Singapore. He is a specialist on online startups, SEO and outsourcing.